Pets Costs > How Much Does a Kiwi Bird Cost? How Much Does a Kiwi Bird Cost? The Kiwi Bird is a unique bird because of its physical appearance and some specific traits. 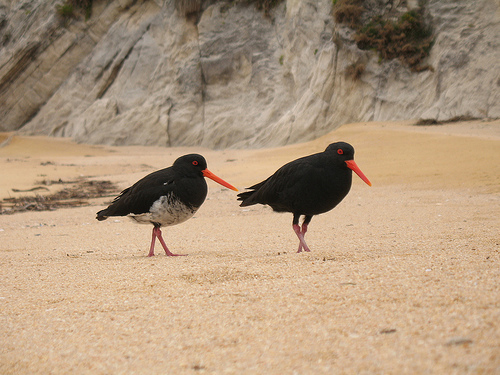 This bird originates from New Zealand and is the country’s national icon. The Kiwi bird, due to being an endangered species, can’t be sold in the United States. The Kiwi bird has five species and all are endangered due to the destruction of their natural habitats and partially due to predators. Even if you tried to buy one, New Zealand, where the birds are native to, bans the exportation. Even if you were able to legally own one as a pet, zoologists claim they are known to be very shy and would hide anyways. You can, however, donate money to breeding programs and join organizations to help save the kiwi bird. The bird has a roundish built and can grow about 16 inches to 18 inches tall, weighing around seven pounds on average. The bird species vary in size and are found in different locations, mostly in forests. The bird locates its nest in thick vegetation, burrows and hollow logs. The female kiwi bird, on average, is larger and weighs more than the male. The male and female kiwis perform dance rituals during mating season, usually from March until June. The kiwis are loyal mates to one another and may stay with each other until one dies. When the female produces an egg, its weight is about 15 percent of the female kiwi’s body weight. The bird can be defensive as it would protect its territory as well as its young and would make bird calls to let their species know of any danger from predators. One unique trait of the kiwi bird is that is cannot fly as its wings do not contain any muscle to help it. However, the bird has powerful feet, making it a fast runner, allowing it move around quickly to avoid danger from predators. This bird has a very long beak — about one-third of its body. The bird has nostrils at the tips of its elongated beak, and its body is covered with hair-like feathers. The wings are physically blended with the rest of the body in a way that you may have to take a closer look to really see them. The nostrils are useful in probing and sniffing out foods such as insects, worms, fallen fruits, seeds, small worms and invertebrates. Its sense of smell is highly developed and the bird uses it to the best advantage-seeking for foods. The bird is nocturnal-being active at night to keep away from predators. In the wild, the Kiwi bird can survive 25 to 50 years depending on the kind of species and location. 380Dollars, I’ve got a cute friend now.